Certain members of the media remain behind the times, unable to absorb factual information. Maybe one day that will all change, but the message you transmit is that you do not know your facts and repeat others’ bigotry. I read the article by Tom Fish of 1 October attacking U.S. President Donald Trump, where you also inject a needless pejorative against the Scientology religion. Mr. Fish seeks to demean my Church when in 2013 the Supreme Court of the United Kingdom found Scientology to be a religion, as did the Australian High Court in 1983, as did a trial court in Belgium in 2016, as did the European Court of Human Rights (twice), and the National Court of Spain, the Italian Supreme Court, the Internal Revenue Service of the United States, numerous courts in Germany and France and governments of many other countries. 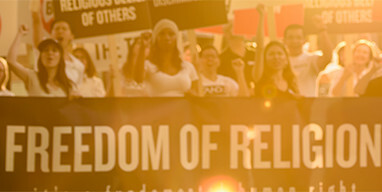 Each court is composed of people tasked with evaluating information about Scientology and who did so and returned with unequivocal findings that Scientology is a religion. Similarly, religious scholars all over the world have come to the same conclusion after extensive research. And what research have you done? It appears that only certain members of the media remain behind the times, unable to absorb factual information. Maybe one day that will all change, but the message you transmit is that you do not know your facts and repeat others’ bigotry. I demand that you act responsibly when mentioning Scientology. To find out who we are and what we do you should go to Scientology.tv. Through this new medium you will get the truth.